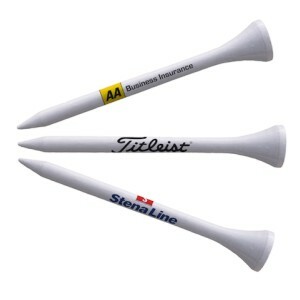 Top quality 70mm bamboo wooden golf tees printed to your design. Wrap around print enables larger font or a logo to be printed on to the tee. Tees can be printed in one, two or three colours, with multi-coloured print available on white tees only.